Paul Menard and the No. 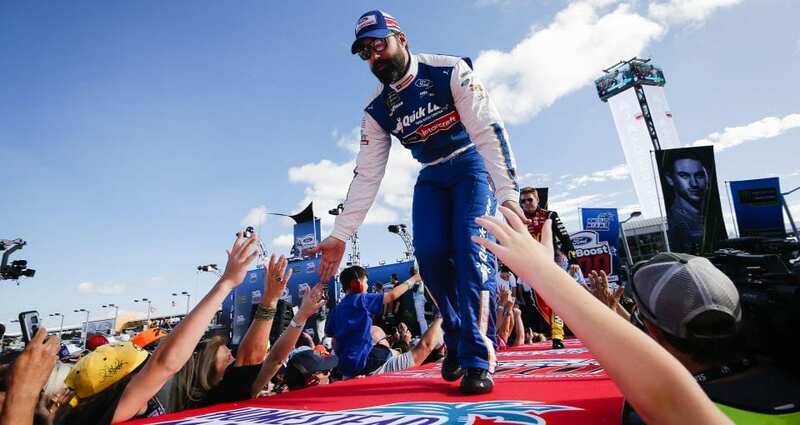 21 Quick Lane Tire and Auto Center Ford team ended their first season together with a 25th-place finish in the Ford EcoBoost 400 at Homestead-Miami Speedway, but Menard and the team consider their first year a promising foundation for future successes. Menard ended the year with a pole at Chicago, one top-five and seven top-10 finishes, nine appearances in the final round of knock-out qualifying, a stage win at Talladega and 19thplace in the final points standings. At Homestead, Menard started 22nd and struggled to find speed early on. Adjustments by Erwin and the crew improved the performance of the No. 21 Ford, but much of the race was spent trying to recover from a lap lost in Stage One as well as an untimely pit stop to repair damage from a brush with the wall midway through Stage Two. Erwin gambled by taking the wave-around on three occasions. His tactics and Menard’s driving allowed Menard to hold off Daniel Suarez and Jamie McMurray in a three-way battle for 19thplace in the final points standings. The Wood Brothers and the Quick Lane team joined lots of others in the garage in congratulating race winner Joey Logano and the No. 22 crew from Team Penske for their 2019 Monster Energy Cup Series championship as well as their friends from Ford Motor Company for winning the Manufacturer’s Championship for the Cup Series. Sunday’s race also saw the No. 21 Quick Lane Fusion carry the name of the late David Pearson on the door, the team’s way of honoring the Hall of Fame driver many consider the best ever and one who is a large part of Wood Brothers history. “We were proud to have David’s name on the car one more time,” Wood said. “And we’d like to send our best wishes to his family. Menard and the Wood Brothers return to the track next February for the season-opening Daytona 500 at Daytona International Speedway.